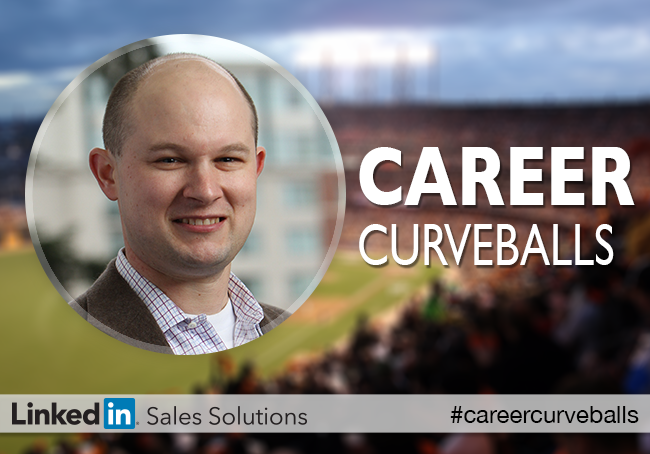 I love the “career curveball” analogy. In professional baseball, you’re not going to get very far if you can’t hit a curveball. Almost anybody in competitive baseball can hit a middle-of-the-zone batting practice fastball, but a Major League curveball eludes 99% of those who WANT to be in the Bigs. Business (let alone life) is full of curveballs. So choosing just one curveball for this column and series was more than just difficult. It wasn’t fair. If succeeding in business and life was as easy as hitting the batting practice fastball, everybody would do it. But the thing is, most people give up when they can’t immediately hit the curveball. They don’t put in the time. They don’t practice. They don’t get right back into the batter’s box and demand another pitch. You’re not going to hit every curveball either. But that’s not the point. The fact that you keep getting in there, keep taking swings, and over time get more effective at recognizing, responding to and hitting that curveball back out of the park – that’s what really matters. Some curveballs, of course, “break” harder than others. One of the biggest for me early in my career was recognizing that I wasn’t going to follow the career path I had chosen, prepared for and studied for over the previous 10-12 years. I was editor of my high school newspaper. I wrote for the University of Washington Daily for four years – as an investigative reporter and periodic sports columnist among other things. I got a degree in journalism & political science, and my first job out of school was as a state government beat reporter for a suburban Seattle newspaper. I was on my way. Following my career path already. Problem was, I didn’t really like my job. And when I looked at the people I worked with – those who were 10-20 years ahead of me – I realized I didn’t want their job either. I come from a family where my parents had the same jobs for 20+ years. They stayed the course. And here I was, less than a year in, already ready to give up. It was my early-life crisis. And it didn’t really end there. I went to work at a PR firm, then ended up at Microsoft for a couple years, then a start-up right after the first dot-bomb period in 2002. I was happy with the work I was doing, but feeling completely aimless. What was my career path? What was my PLAN? Where the heck was I going? Compounding all of this was a strong feeling of inferiority. I was a journalism guy among a bunch of MBAs. I hadn’t taken a single business class in college. What right did I have doing the work I was doing. It took me a long time to hit that curveball. Ironically, where I finally figured it out was when I had about four curveballs coming to me at once. I had entertained the idea of starting my own business for awhile, but always talked myself out of it. Too hard, no real pipeline of clients, worried about replacing my income, supporting my family, etc. Lots of paralyzing “what if” statements. So let me now take you back to November 2008. 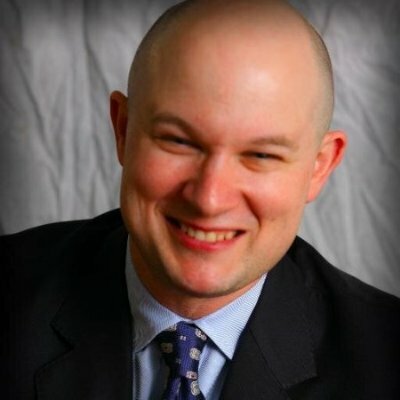 The market has just crashed us into the “great recession.” My wife was pregnant with our first child. So of course, I quit my job, gave up my regular paychecks and benefits, and became a consultant. In hindsight it sounds crazy. Sure it was risky. But it’s also when I hit one of the most important curveballs of my life. I’m working in and growing a business I’m incredibly proud of. Working with people that inspire and humble me daily. It’s exciting and terrifying still. But I can’t imagine doing anything else. This is absolutely not what I planned to do growing up. Or in college. Or even when I was at Microsoft. I’m not entirely sure how I could have planned for this if I tried. I tell people today all the time that there are three things in my life that, if I had waited until I was completely ready, I never would have done. For me, that’s 1) get married, 2) have kids, and 3) start a business. My wife and I now have three amazing kids. I travel a lot, so my amazing wife is often left with those kids on her own. And she still works. What if you HAVE to hit that curveball? I realized a lot of things about myself, and curveballs in general, as I started the journey of running and growing my own business – starting back in November 2008. 1. The past doesn’t matter. The future doesn’t exist. The present is everything. It didn’t matter that I didn’t have an MBA. It didn’t matter that I’d never carried a bag, held a sales job directly in my career. What mattered was that I had insights, and confidence, and a combination of tenacity and stubbornness to take some ideas to market and help clients gain from that. I had previously gotten myself too caught up in what I hadn’t don’t previously, what experience I did or didn’t have. Truth was, it didn’t matter. If I could provide value to clients right now, that’s all that mattered. There are curveballs every day. There are people and things and circumstances that will tell you to give up every day. Most people will listen to them. Lots of people will let those nay-sayers creep into their confidence, into their ability to focus & execute. It’s really, really hard to ignore that. But if you’re going to hit the curveball, you have to stay focused. Shut everything else out, know that mistakes will happen and failures are a part of the job. But get back in the next time with a fresh set of outs, no strikes against you, and try again. That tenacity is what separates successful people from those who choose to no longer follow their dreams. 3. Other smart people are hitting curveballs too. Learn from them every day. I learn from and am inspired by smart, tenacious people around the globe every day. Some of them I know personally, so I follow, read and admire from afar. But every single one of them have learned to hit the curveball. They may look like overnight successes. It may appear that success comes easier to them than the rest of us. But that’s rarely ever true. They’ve had to grind it out like the rest of us. Spend hours in the batting cage missing curveball after curveball. Until they figured it out. Even today, they still miss curveballs. But you can accelerate your own progress and success by studying their path, their failures, and their insights on a regular basis.